After years of waiting for a portable Minecraft experience, Nintendo fans can finally rejoice: the ultimate sandbox experience is available now on the New Nintendo 3DS and 2DS eShops. That's right -- standard 3DS and 2DS owners will, unfortunately, miss out on this one. 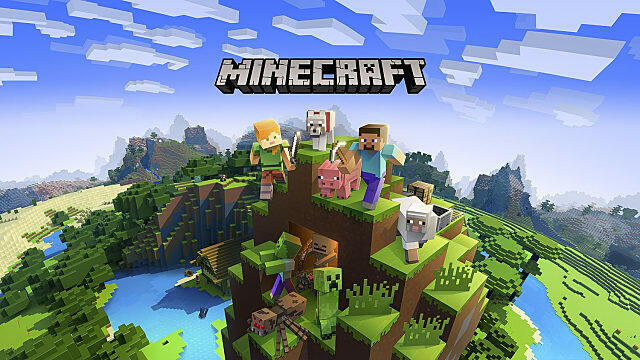 We've put together this tidy little guide to help bring you up to date on everything you can expect from this latest edition of Mojang's smash hit. 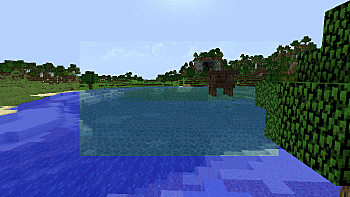 All sizes have a height limit of 128 blocks, and according to Mojang, it's the massive world sizes that determined the game could only run on the New 3DS and New 2DS. The sizes exceed the limits of previous-gen handheld systems, though they are still somewhat smaller than current-gen console and PC editions, including the PlayStation 4 and Nintendo Switch versions. Further clarifying the New 3DS version's specifications, Mojang says the 3DS edition is closest to the 0.15.4 version of Minecraft Pocket, but its dual screens allow for a more effective UI and better management. Like the Vita version, the 3DS edition can utilize touch screen input or normal input, with particular highlights coming in the form of touch options for crafting and item management. Additionally, Minecraft 3DS does away with the Map item, instead displaying character status and coordinates on the touchscreen. 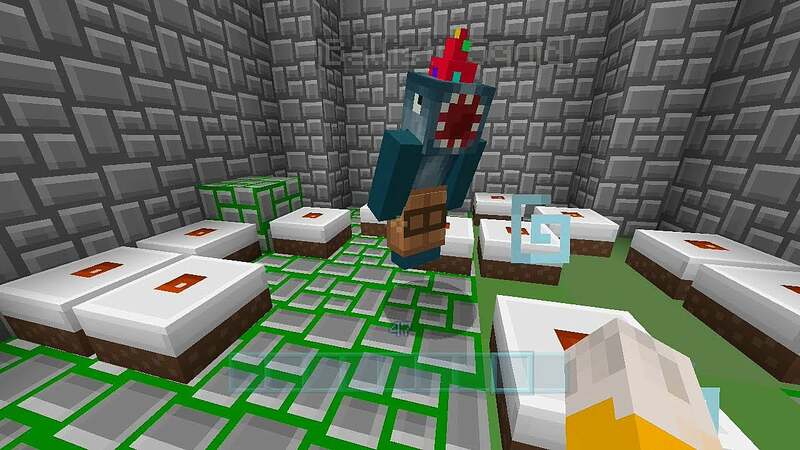 Minecraft 3DS has two different modes for players to explore. These will be familiar to returning players, but new players will be met with a choice: survival or creative mode. 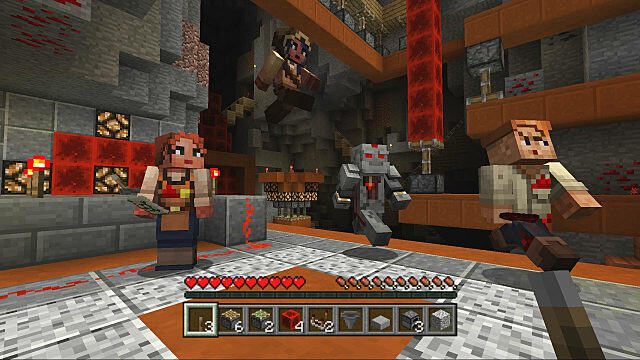 In Survival mode, players look for -- and create -- materials to help them survive in the wild, including weapons and clothing. You'll need them, too, as you can be damaged by enemy mobs and even the environment. Despite Minecraft being a sandbox playground, you do actually have some goals and achievements to aim for in Survival mode, including defeating the Ender Dragon in -- you guessed it -- the End Realm. The game doesn't end once you defeat the dragon, though, and you can keep crafting and exploring to your heart's content. Creative mode takes away all the dangers and restrictions of Survival mode and sets you free to create, destroy, and explore, with no block limitations. 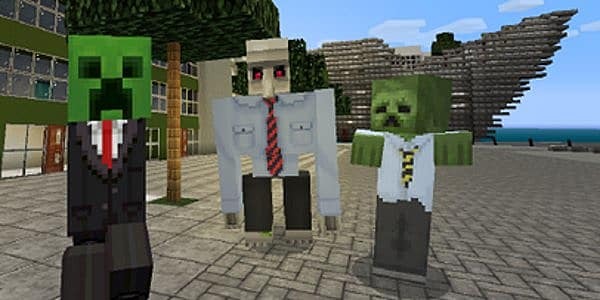 Mobs won't attack you, and you can destroy any block automatically. And, if that wasn't enough creative freedom for you, it lets you fly, too. From the sea to all who sail on it, the sky's the limit in Minecraft! 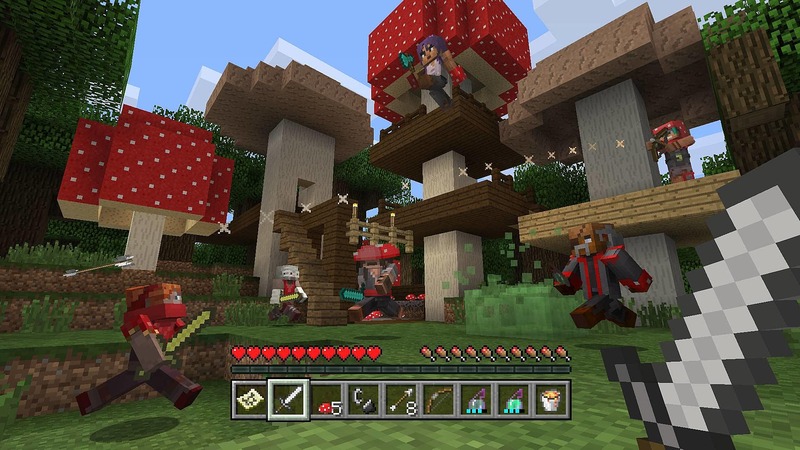 What's Missing in Minecraft New 3DS Edition? While Minecraft New 3DS Edition brings with it a lot of what fans love about the game (like the aforementioned modes), there are some important limits to note as well. As of now, Minecraft 3DS neither has an online multiplayer option nor does it offer stereoscopic 3D, though Mojang states future updates will feature both -- with the 3D functionality naturally being unavailable on the New 2DS. Limitations also apply to mob caps. Unlike the Java edition, with near infinite caps, in the New 3DS version, there can only be 24 enemies, 24 animals, 16 water creatures, and 16 villagers existing at once. One notable feature absent is the Better Together expansion, with no current plans of bringing it to the 3DS version. 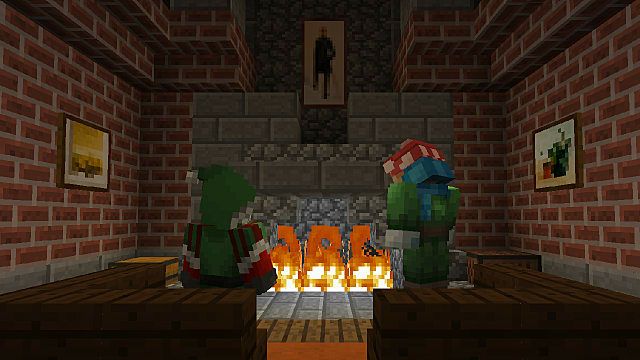 The expansion unified the game across the participating platforms -- Xbox One, Switch, Windows, and mobile -- and allowed for cross-platform sharing of worlds. Mojang included a few extra add-ons like new player tutorials and the usual adjustments meant to streamline the experience as well. And at this time, the game is currently only available on the Nintendo eShop. 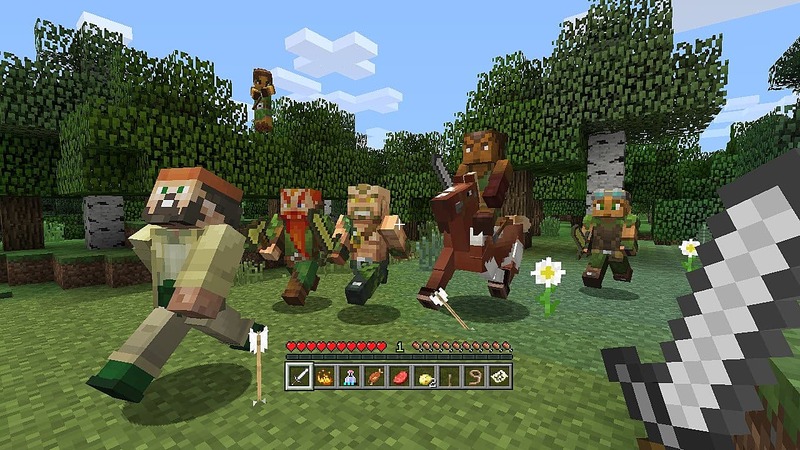 Retail copies are forthcoming, though Mojang offered no firm release date. If you do purchase the physical version of the game, note that the way save data is handled changed a bit from the usual 3DS game. Rather than storing data on the game card, save data is stored directly on the microSD card, tying it completely to the system. The priceof the game -- $29.99 -- is also a tiny bit higher compared to other editions like the Java one. However, it's the same as the Nintendo Switch edition. Minecraft 3DS has no DLC at this time, but it does have bundled skin and texture packs. Let's take a look at what's currently on offer. This is your default skin pack, including your basic Steve and Alex. The first Biome Settlers pack offers you a variety of skins, from forest archers to tundra-dwelling monsters and everything in between. In short, it's everything you need to start bringing your imagination to life. The second Biome Settlers pack is rather different from the first, focusing on denizens from The Nether. Some of your options in this expansion include engineers, fungal foragers, and mushroom people. The "Specialists" in the title tells you exactly what this pack is all about. Among these skins are the artisan, redstone specialist, composer, scholar, and --because no world is complete without one - -the mad scientist. Those among you familiar with Chinese folklore -- or the original PlayStation classic Saiyuki: Journey West -- will already know that this pack's emphasis is the classical Chinese collection of stories about the Monkey King. Alongside the royal primate, you get the Jade Emperor, Princess Iron Fan, and the Pig Monk, among others. You can't create your wintry wonderland without this pack. Alongside staples like the elf, Santa Claus, and Mrs. Claus, you get several other cozy winter looks, and a gingerbread creeper thrown in, too. 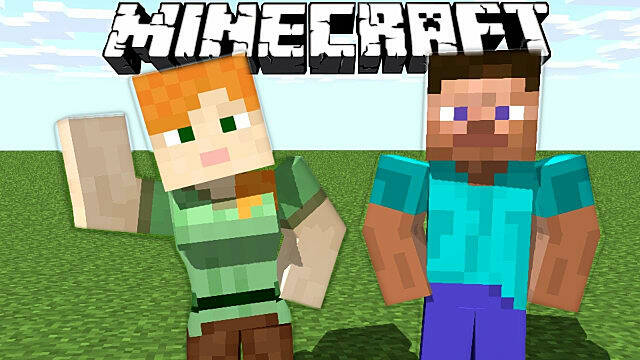 If you've played or seen Minecraft before, then you know what to expect from this. In case you haven't, this picture gives you a good idea. The default texture is the one outside the center of the photo. The city texture pack gives you everything you need to create your urban paradise, from realistic stone and steel, to roads and everything else you may possibly need. This pack gives a smooth, finished look to your building materials, helping you create simple, yet appealing landscapes with objects free from excess visual clutter. 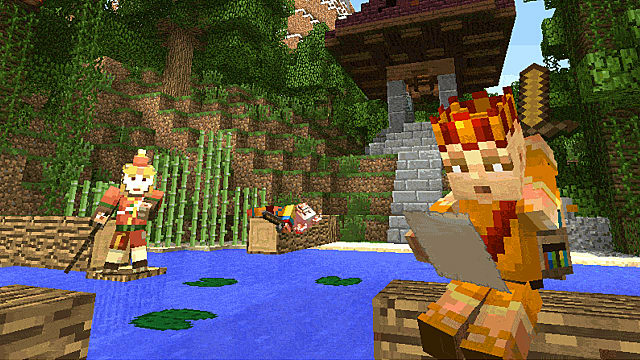 From skins to giant worlds, Minecraft 3DS offers as much freedom and variation as the console editions, despite its limitations. Let us know if you plan on picking this one up, and be sure to check out our Minecraft guides for some other helpful tips to get you started!